You might have seen this Ministry of Women, Family and Community Development ad in the papers over the Chinese New Year. Sure, it's just an ad but it made me think. 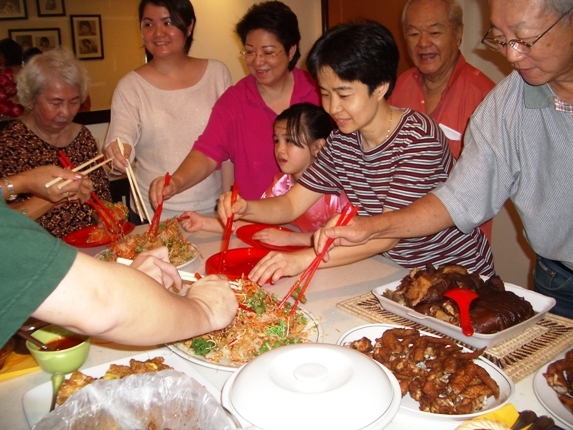 CNY or any festivals for that matter is a time for family reunion and celebration. Unfortunately, this tradition of family get-togethers to welcome the new year is fast fading into oblivion. These days many young Chinese see the festive holidays as an opportunity to relax at home, meet up with friends, or go off on a holiday. Those who can afford it will opt for trips abroad to China, Hong Kong, Korea or Taiwan. To them, it's such a waste of holidays and also boring to sit around in their parents' home in some small town, watching TV all day long. If not for the festive decorations and the sounds of firecrackers and lion dances, CNY would be just like any other day. to their hometowns, and how many are off to a holiday resort? With each passing year, fewer adult children are making the effort to 'balik kampung' to visit their elderly parents for the CNY. 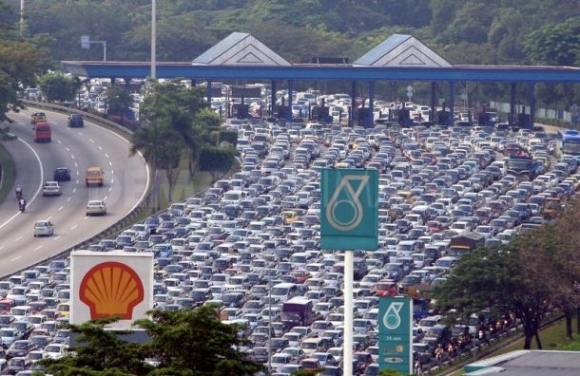 The thought of getting stuck in horrendous traffic jams is enough to put them off making the trip. So elderly parents wait at home for their children who may or may not show up. 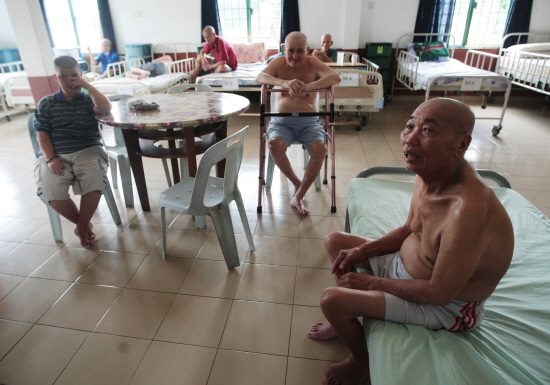 At old folks home, the story is the same. The elderly sit around waiting and wondering if their children will remember to visit them this year. For many, the only visits they get are from various corporations and NGOs. These kind strangers stay for a while till all the photos have been taken and gifts distributed, then they leave, pleased with their good deed and satisfied that they have achieved their CSR objectives for the year. It is sad that the elderly are often the hapless victims of a society that is slowly losing touch with family traditions and values. But then again, they have to accept some responsibility too. Family cohesion has to be nurtured over the years, starting when the children are still young and eager to learn. It takes effort, patience and persistence to instil family values. And above all, it takes a whole lot of love, not just implicit, but openly expressed and demonstrated through little acts of caring and sharing throughout the children's growing up years. Once firmly established, family bonds are difficult to sever, and adult children will never dream of abandoning their elderly parents. So young parents, take note. Don't wait till you are in your sunset years and then wonder why you don't see much of your adult children anymore. Perhaps you didn't see much of them when they were growing up, when you were too busy pursuing a career or building a business. When we are strangers to our children, how can we expect care and concern from them in our old age? The two generations are family in name only. When that happens, we have only ourselves to blame. Tossing the traditional CNY dish of yee sang (raw fish salad) at a family get-together. We have blood family and soul family networks and sometime these family networks intersect - but more often they don't. What is more than obvious to me is that INDUSTRIALIZATION is deleterious to life on every level - ethical, social, environmental and metaphysical. However, greed and power have long gripped the imaginations of the plutocratic elite and is impossible to stop, like a runaway train... until the force of its own momentum carries it over the edge of a high cliff. So while others worry about the imminent collapse of the global economy, I look forward to seeing the end of a terrible affliction! It is true, family relationships, like any others, needs to be build and nurtured. What we sow is what we get. Asking young parents to take heed is good advice.